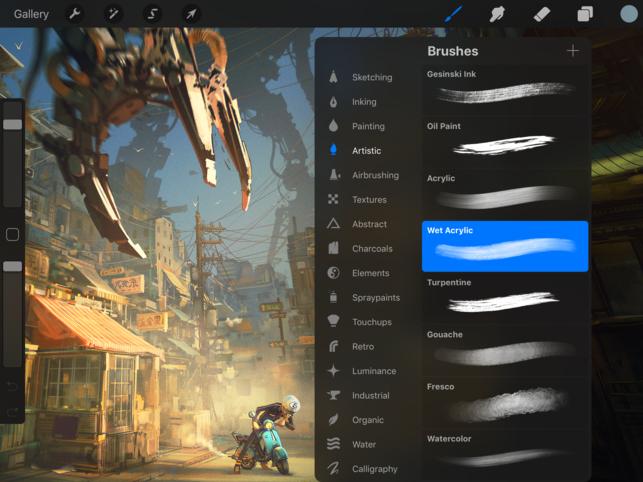 Procreate is a “powerful sketching, painting and illustration app designed for a mobile device, built for creative professionals.” It includes 136 brushes for various textures and mediums with the ability to create your own. It has ultra high definition canvases and is optimized for the iPad Pro. It has a layering system, which allows you to build upon designs without affecting other aspects of it; it also allows you to hide layers and organize them into groups. Procreate is powered by the fastest 64-bit painting engine on iOS. The app will even record your entire time-lapse as a video that you can view, export, and share. Procreate is a go-to app for creative professionals. So much so that artist Dave Rapoza used his iPad Pro, Apple Pencil, and the Procreate app to create the movie poster for Logan in 2017 (see below). Illustrators and animators across the world and some the most well-known creative companies (Pixar, Disney, DC Comics, etc) use Procreate. What’s even more amazing to me is that Procreate has been around since the iPad 2, which means the company behind Procreate could see the vision of where iPad would go and the new ways it could be used, both creatively and professionally. I’ve been using Procreate for about a week, and I’m certain I’ve only just scratched the surface of what I can actually do with the app. Two features I’ve discovered and love are the ability to draw any line, hold my Apple Pencil to the screen, and have the line automatically snap to being straight. There is also a Texture brush that’s called Grid, which allows me to add a grid of any color and opacity to my canvas. For beginners, there is a ton of information and tutorials about the app on YouTube, completely for free. So even the complete novice can learn how to use the app and create their own work of art. Whether you’re a professional artist looking for the perfect app or complete beginner that’s never taken an art class, Procreate makes it easy to get started without feeling overwhelmed. 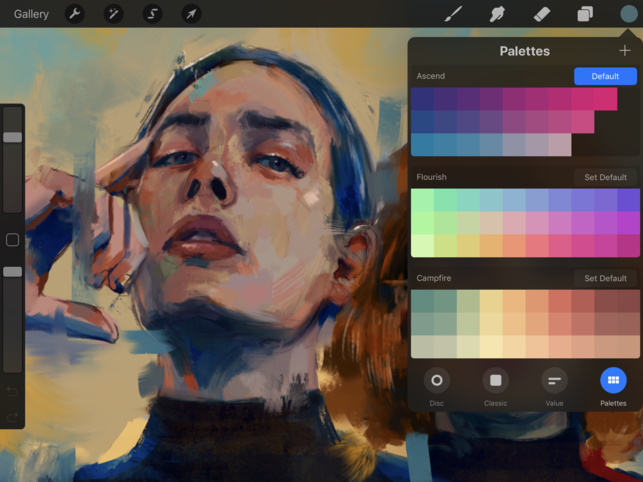 You can create your own color palettes, blend colors realistically with painting brushes, add photos and sketch overtop of them, create journal pages for your monthly planner—the ways you can use Procreate are endless. On a computer, it wouldn't surprise me if a software like Procreate cost over a hundred dollars; but on iPad, it’s only ten dollars and that includes all of the updates to come. So while this app is geared toward artists and creatives, I think anyone will benefit from (and enjoy) using Procreate.